Now that we finally have a litter of brokens it's time we start learning about them! We have been learning about our solid torts and what to look for in order to show. We have some really cute ones coming up out of Avas last litter that we are quite excited about. Our new little brokens are now a week old and growing fast. I was sad to see that none of them appear to have solid ears. But besides just ears I thought it was important to point out the standard. Broken is any color in conjunction with white. The body color is to be evenly disturbed in a patched, spotted, or blanketed pattern. 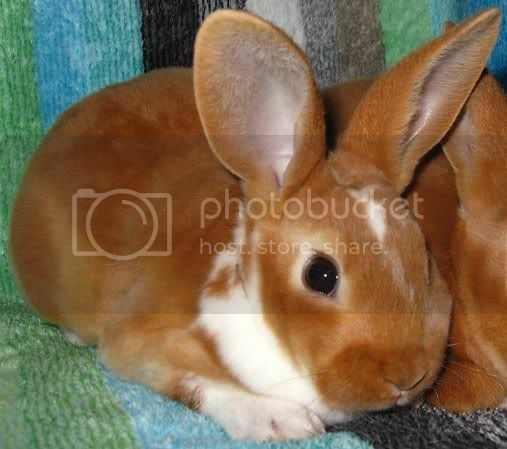 Holland Lops require any broken shown to have color on the nose (no preference given for a butterfly over evenly balanced nose spots), around each eye, and colored ears. The ideal markings are balanced markings on both cheeks. 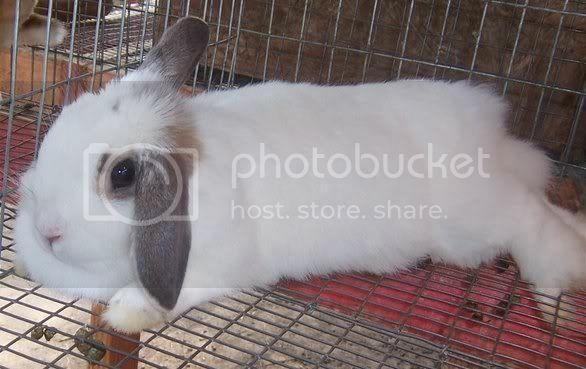 Full eye circles and full colored ears with balanced markings on both sides down the back of the rabbit. Feet & toenails are preferred white on brokens and the eye color is to correspond with the respective colors' eye color. Color spots are permissible on the legs, as are teat spots and other color spots in the genital area. Brokens should have at least 10% color, but no more than 70% color. "Charlies" are brokens with less than 10% color & "Booteds" are brokens with more than 70% color.